If you have experienced harm as a result of a hospital-acquired infection, you may be entitled to compensation. There are several reasons why a patient might suffer an infection following a procedure. 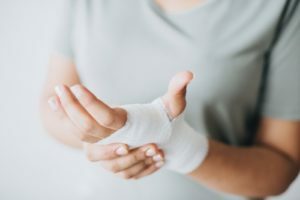 Natural bodily reactions to surgery are normal, but it’s when an infection may have been avoided that you might have a medical malpractice case on your hands. If you believe that a surgical infection was the direct result of medical negligence, call the lawyers at Cardaro and Peek today. According to the U.S. Office of Disease Prevention and Health Promotion, one in every 25 inpatients in a U.S. facility experience an infection related to hospital care. Unfortunately, hospital-acquired infections (HAI) are a common problem in the United States, and even more problematic when the infection occurs from medical malpractice. HAI can be lethal, with an estimated 99,000 deaths each year (Centers for Disease Control and Prevention). In order to show that you were truly the victim of medical malpractice, it’s important to prove two major points. First, you (or your loved one) must show that there was a breach of duty on the part of the medical professional or the hospital. Second, you must prove that the neglect was the direct cause of the surgical infection you experienced. If a hospital or medical facility doesn’t adhere to strict hygienic standards, deadly infections could breed more easily. Patients with low immunity are in particular danger of contracting HAI. Common examples of HAI-related medical malpractice include surgical errors, failure to diagnose an infection, performing a procedure with unsterilized tools, performing a procedure in an unsterile environment, insufficient post-operative care, failure to treat an infection, and complete neglect. If you have experienced harm as a result of a hospital-acquired infection, you may be entitled to compensation. Call the Law Offices of Cardaro and Peek today. This entry was posted on Tuesday, March 19th, 2019 at 11:41 am. Both comments and pings are currently closed.